Mojitos are my favourite mixed drink, so I was thrilled when a friend suggested we try these festive versions for our holiday meal. They are absolutely delicious and a perfect drink to share among friends. 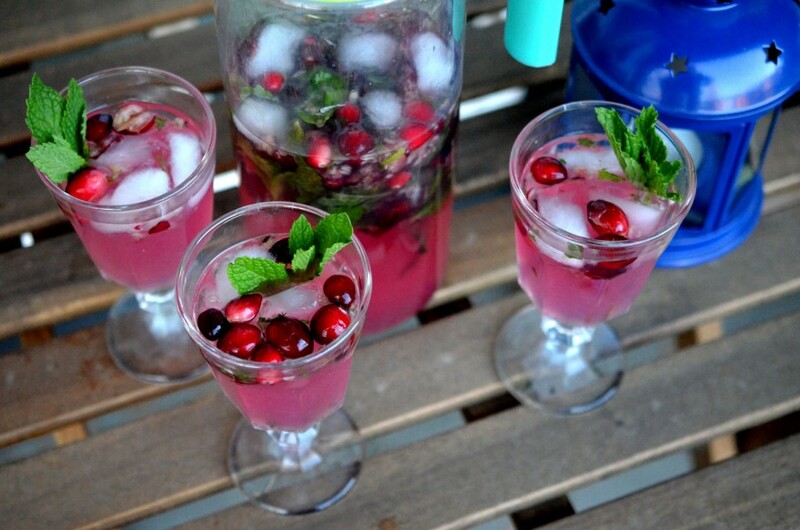 So grab a pitcher and premake these easy to serve drinks for your next holiday party. Place mint and sugar in a large pitcher. Using a wooden spoon, or muddler if you have it, muddle/mash the mint and sugar together. Add the rum and lime juice and continue to muddle until the sugar is dissolved. Add the cranberry juice concentrate and water and stir until fully combined. Keep refrigerated until serving or fill with ice.